A little bored this afternoon so I decided to play around with the macro (which I haven't done in quite some time). 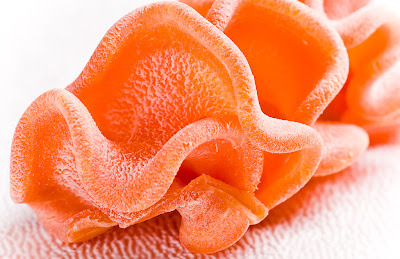 This is a piece of orange pasta that we picked up in Italy last year. Technical Specs: Canon 1D3, 180mm macro, f/16, 1/200s, ISO 160, strobes.